Harry Arnott was born in Thame on 29th January 1917, but not baptised until the 26th August 1926 the same time as his sister Clarice who had been born in 1923.. Harry was the son of Robert and Mary Ann Arnott boot maker of 103 High Street, Thame. 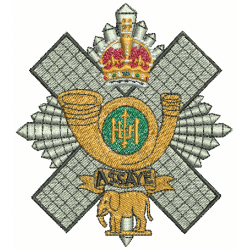 He served as a Private, 5388442, in the 10th Battalion of the Highland Light Infantry during World War Two. The HLI were part of the 15th Division which landed in Normandy a few days after D-Day and progressed through northern France. He died in August 1944 in the major thrust made from Caumont l’Evente towards Vire, to drive a wedge between the German 7th Army and the Panzer Group West. Although a Scottish Regiment the Highland Light Infantry had less than half Scots in its ranks. In the cemetery at St Charles de Percy there are ten burials from his battalion: five from Oxon/Bucks area and only three from Scotland. 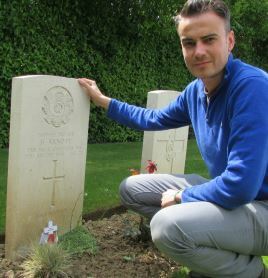 Harry was killed on 7 August 1944 and buried in St Charles de Percy Cemetery, Calvados, France. He is remembered in Thame on the War Memorial and on St Mary’s Church Memorial Board.